The NSS unit of this college is very active and looked after by one faculty member as its Programme co-ordinator. Mr. E. Lalith Aditya bearing H.T. No. 14011A0319, a student of 3rd Year B.Tech. 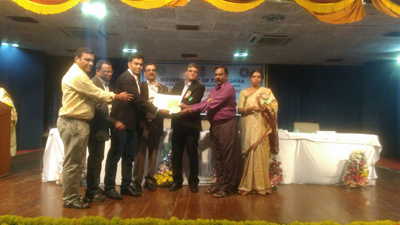 Mechanical Engineering, JNTUH College of Engineering Hyderabad was awarded NSS State Award by the Govt. 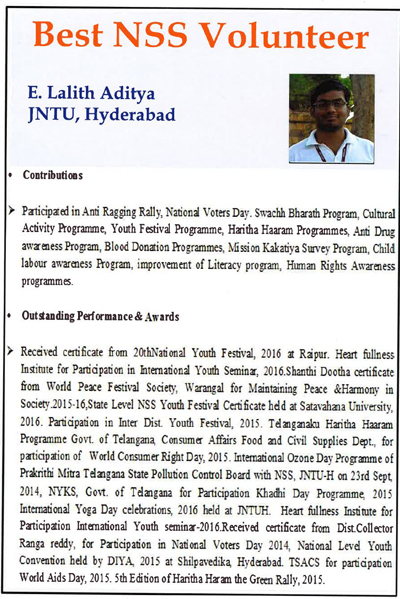 of Telangana for the year 2015-16 on 2nd October, 2016 at Jawaharlal Nehru Architecture & Fine Arts University Auditorium, Hyderabad.